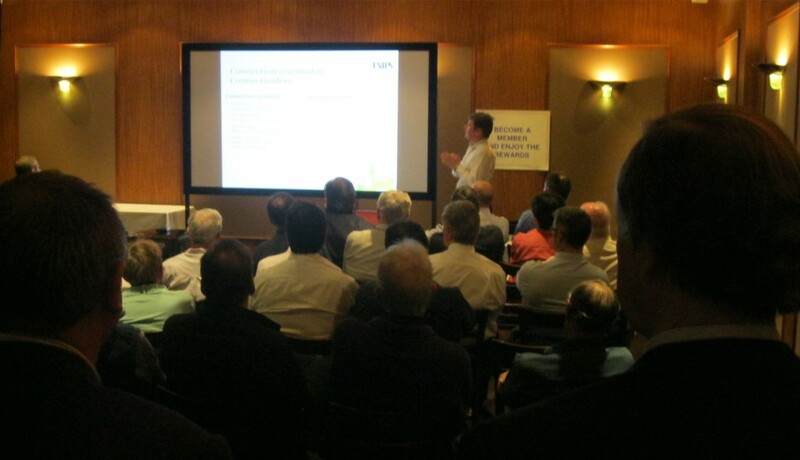 A hot topic and an informative speaker helped the Australia Section set new records for attendance at a monthly section meeting. On Monday 19 March 2012, our special guest Espen Myhre kicked off an ongoing discussion with a talk on IP standards for HD Broadcasting Contribution and Transmission. 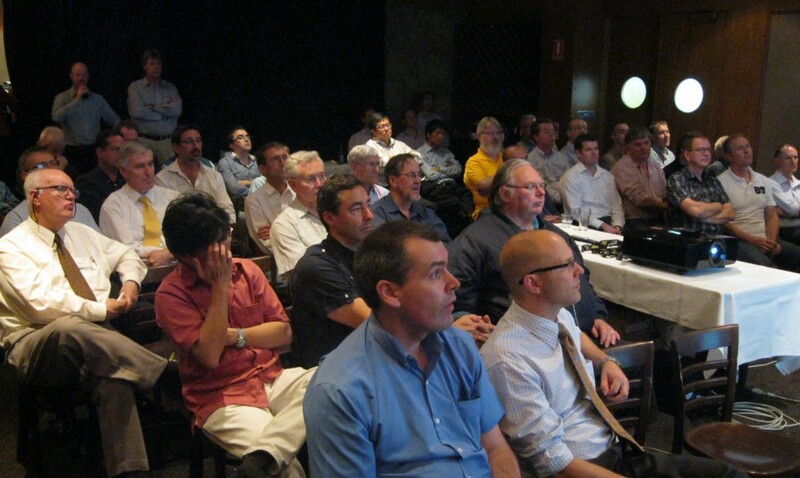 Espen travelled down under to share important world-wide industry trends with the SMPTE Australia Section members and their guests, and was greeted by a standing-room-only audience. As Telcos of the world are moving into direct competition with Satellite, Cable and Terrestrial perators with their new multiservice networks, legacy operators are fighting back. 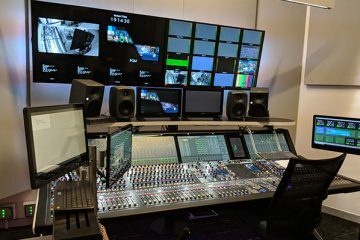 This extensive format diversity is driving the way that conventional Broadcasters are delivering Video between sites, from outside broadcasts back to the mothership, and between the broadcast facility and transmission sites. Competitive Telco and IT networks are now value-adding, Connectionless packet switching is making a vast array of content available to many at any time. Espen highlighted a number areas of relevance related to developments in Australia and in our region where Quality of Service QoS is a key issue right now, and related this to a new SMPTE specification which is under review and which will link with ITU Y-1541 for packet transfer and performance.